Cameron is originally from Minnesota and has been doing hair for over 20 years. I know right? what is her secret? 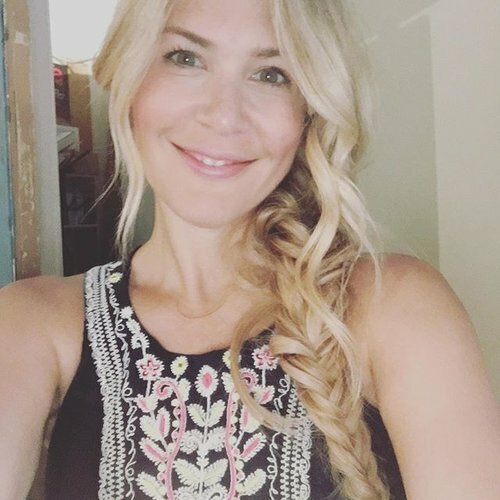 Well, the thing is, she is quite healthy, loves working out, training for a half marathon for fun, balancing two amazing kiddo's and also doing hair? She is one amazing woman. But when it comes to talk about Cameron's talent, well she is one amazing stylist, there is a reason why Cameron is booked up for weeks. She is originally from Minnesota which means she really knows how to do blonde hair, and she has also furthered her education in hair in London, Barcelona, and Los Angeles. Staying current in the hair industry is important for anyone new or seasoned, but keeping that passion growing is important. And if you have ever seen Cameron, you can testify that she is not only a very talented hair stylist but is down right a super babe. She does specialize in color and cuts, but is also extremely good at special occasion hair. So if you're looking for a stylist that you don't feel intimidate by, and can really make you feel welcome then Cameron is your girl.